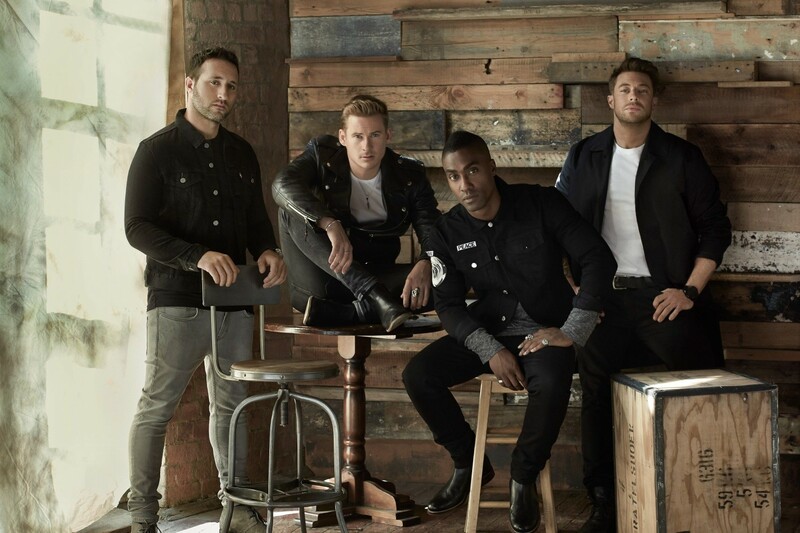 BRITAIN’S best boyband Blue are back and are stopping off at St David’s Hall next Monday (23 March). Since forming 2000, the boys have sold 40 million singles and 16 million albums worldwide including three No.1s of each format. Blue burst onto the UK music scene in May 2001 with the anthemic All Rise and were immediately on their way to pop stardom. Hit singles including Fly By, Too Close, One Love and If You Come Back quickly followed and further enhanced the group’s growing reputation. And soon they were catching the eye of some of the world’s most iconic artists. Elton John re-recorded Sorry Seems to Be the Hardest Word with them, and the following year they collaborated with Stevie Wonder on Signed, Sealed, Delivered, I’m Yours. The boys took a break from their hectic schedules in 2005 to pursue solo projects, stage performances and ventures into reality TV. In 2011, they even represented the UK at the Eurovision Song Contest! But now they’re back doing what they do best. A collection of new songs called Roulette was released in April 2013, and the as yet untitled fifth studio album is due out in March 2015 much to the delight of fans. Don’t miss this chance to relive all Blue’s best hits, and be the first to hear brand new material from this reunited and rejuvenated boyband! Limited tickets are still available priced £25 (plus a £2.95 ticket service charge per transaction).